The Parents of Young Children (POYC) Covenant Group meets the 3rd Sunday of each month from 4:30 to 7:30pm at BAUUC in Cockrell Hall. It is a potluck gathering for families with young children – from pregnancy through around 12 years old. After the meal, there is childcare (for a small fee) while the parents discuss parenting issues. 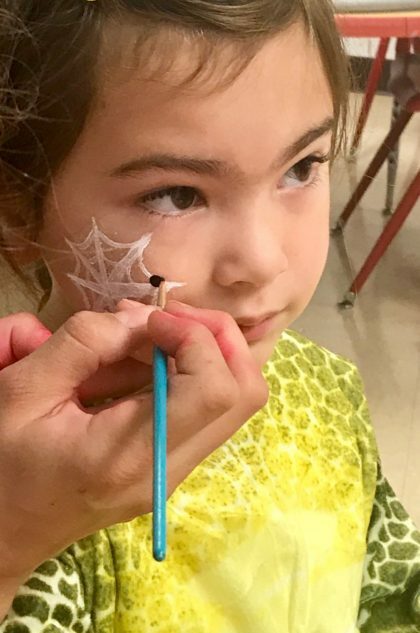 BAUUC’s Fall Festival is an annual fund raiser put on by the Religious Education Ministry to raise money and awareness for UNICEF (the United Nations International Children’s Emergency Fund), in conjunction with the Trick-or-Treat for UNICEF project. Held on the Sunday before Halloween, everyone is encouraged to wear a costume to church and stay for the Festival. It includes lunch, carnival games and activities for all ages – such as a Haunted House. 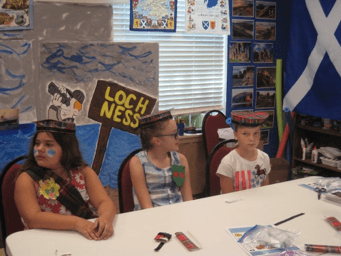 countries are chosen and classrooms are transformed and decorated to represent each one. Teachers research how to best present their cultures, through music, arts, crafts, activities, and ethnic foods. An evening of presentations and celebration conclude the activities. In the past 30 years, we’ve visited over 50 countries with our children and can’t wait to see where we’ll go next summer. At BAUUC, we are committed to providing as many opportunities as possible for all ages to gather and learn and grow in spirit together. Families attend the first portion of worship together every Sunday and a time for storytelling is set aside specifically for our children. 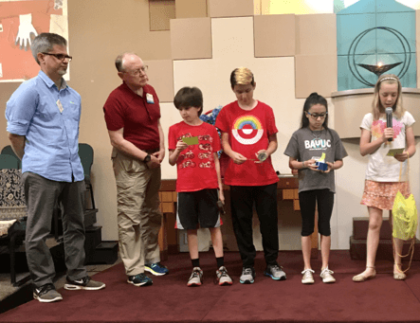 Some Sunday morning worship services led by the Minister and Director of Lifespan Religious Education are specifically designed for all ages. 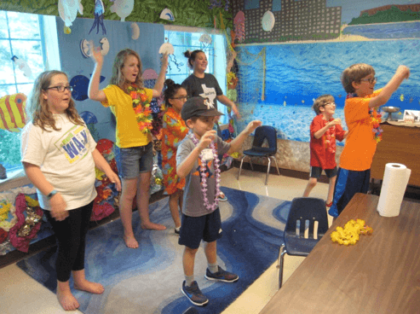 Our children and also regularly participate in worship services. In addition, the Wednesday night Vespers services are appropriate for all ages. 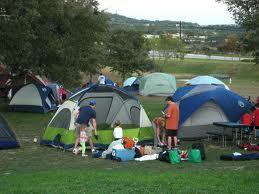 Twice a year, a large group from the church goes camping together at a nearby state park. We enjoy the great outdoors, community meals and the opportunity to spend time with friends, old and new. These are perfect outings for singles, couples, parents and children. They offer newcomers the chance to get to know others in the congregation. 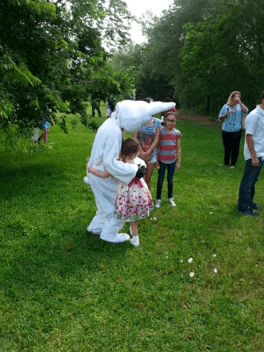 On Easter morning, the Religious Education Ministry Team and the Youth sponsor an Egg Hunt for the children in the back yard. 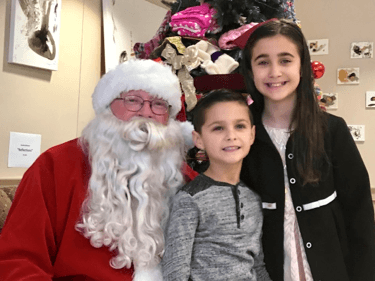 One Sunday in December, Santa visits BAUUC to discuss wish-lists with the children. 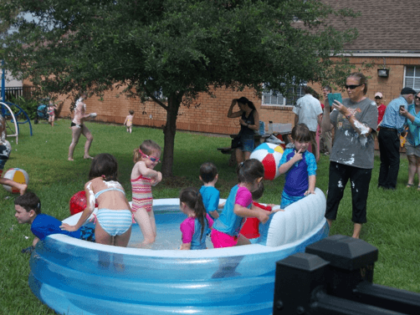 To mark and celebrate the end of another successful church year, the children enjoy water play and root beer floats in the back yard. Various age-appropriate choices are available.